"In whom we have redemption through his blood, even the forgiveness of sins:"
We would like to wish you a happy Easter from those of us at Friendship Baptist Church. He is risen! We're an Independent Fundamental Baptist Church located in Rustburg, Virginia, seven miles south of Lynchburg. We use the King James Version of the Bible only, we sing the old traditional hymns, and we have choral and special music. Our pastor is Rev. David Critcher. We as a church desire for God's Word to be preached so that sinners will come to know Christ as Savior and that fellow believers will be encouraged to live a separated life for Jesus Christ. May our church be a "light on the hill" proclaiming out to the all who see it, that Jesus Saves! We invite you to visit with us at Friendship whenever you are in the Rustburg/Lynchburg area. 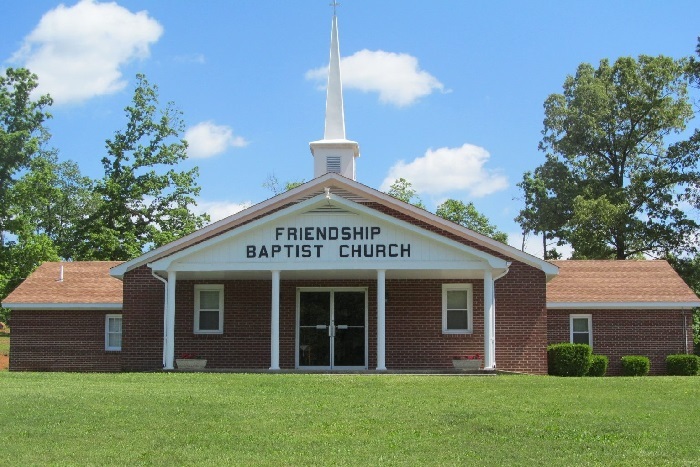 Friendship Baptist Church was founded in the 1970's. After retirement of founding pastor and having several pastors through the years, the church closed. It was re-opened & re-organized in November 2008. In July 2009, Rev. David Critcher became the pastor. A dedication service was held in September 2013 to dedicate the church and property to the Lord for His glory and honor. We are small in number & starting over, but in God's sight "Little Is Much". God uses all who are willing. We covet your prayers and invite you to visit with us.